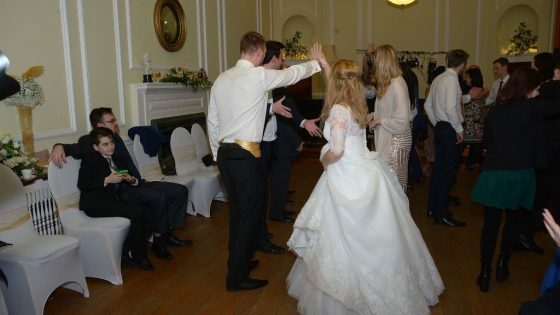 We are a three piece band (including the caller) and we have been providing vibrant, exciting dance music for weddings, family parties and social events in and around Kent for over 20 years. This means that we have all the expertise and experience to ensure that you and your guests have a highly enjoyable and memorable time. 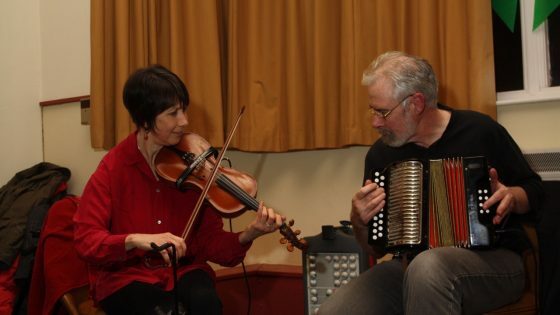 Small and tidy we can fit into tight spaces but we make a lively fulsome sound. Our emphasis during your event will be to ensure that you and your guests enjoy the occasion and that you all have a great fun evening. Having said that, we take what we do very seriously and are professional in our approach. 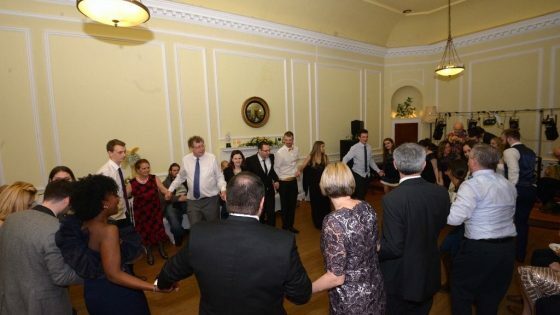 You can rely on us to arrive good time suitably dressed for the occasion and ready to get your guests up and dancing. By the way, we’re members of The Musicians’ Union and Equity and all our equipment is PAT tested. So what happens on the night? We will tailor the evening to your requirements and will discuss timings and arrangements with you well beforehand so that from the minute we arrive you know that we are ready fit in with you. We’ll begin playing at the agreed time and when you’re ready, our caller will invite you and your guests up to dance. He tailors the dancing according to your needs, keeping it simple if you haven’t done much of this sort of thing before, or giving you some lively challenges if you are old hands. 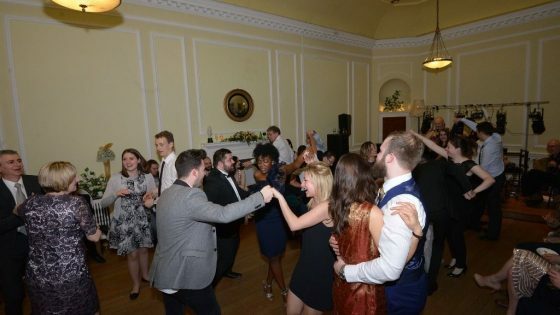 We are more than happy to take requests if you remember a dance from a previous event or, dare we say it, from school but it’s probably best if you give us some notice before the dance, just in case it’s not in our current repertoire. Once you are on the floor the caller will walk you through the dance before the music starts but he is always ready with any necessary prompts, once it has got going. People have remarked on his clarity, his patience and his light, amusing style which is aimed at making sure that the everyone can relax, have a laugh and a jolly good time. In fact, from the moment we are ready to go our aim is to help you have fun. We always pace the evening to the audience, to what it wants and what it can do: you may want to dance constantly, or you may appreciate breaks between. 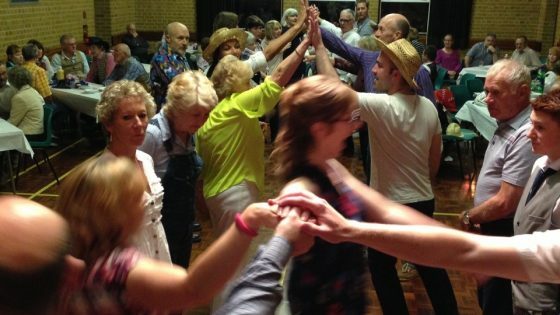 In terms of the music, we can play pretty much all the time, for dancing or for background music, or we can shut up for a bit and let you and your guests talk, drink and socialise. 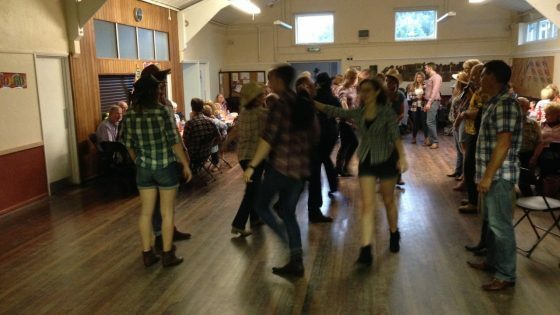 There’s a lot to think about and arrange when you’re planning a barn dance especially if it’s part of a larger event like a wedding or a birthday celebration. If you haven’t yet found a suitable venue let us know. 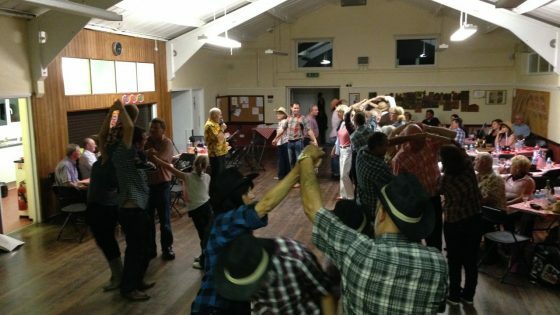 We’ve played in many a village hall hotel and golf club in and around Kent so we can often recommend somewhere. We can also put you in touch with a reliable marquee hire company. Whatever stage you’re at in your planning get in touch and we’ll provide you with a quotation and let you know our availability. We’re always happy to hold a date for you for 14 days while you sort out the rest of your arrangements and when you’re ready we’ll send you a contract to sign and return with an initial payment to confirm the booking. 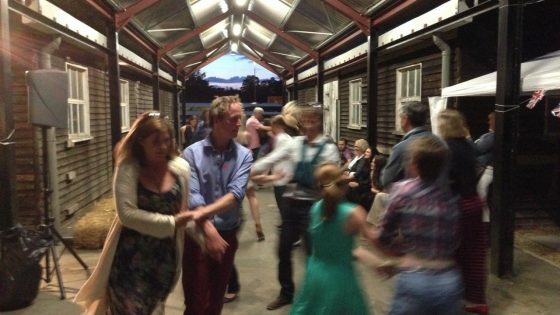 A2 Barn Dance Band 1 from Barbara Kelly on Vimeo.